Apple's iOS 12 has finally landed. The big update appeared for everyone on Monday, Sept. 17, and hiding within are some pretty amazing augmented reality upgrades for iPhones, iPads, and iPod touches. We've been playing with them ever since the iOS 12 beta launched in June, and here are the things we learned that you'll want to know about. If you want to know what else is new in iOS 12, in general, make sure to check out my iOS 12 features roundup in Gadget Hacks. For now, here's everything AR-related that Apple has included in iOS 12. There are some new features aimed to please AR fanatics as well as hook those new to AR into finally getting with the program. But all of the new AR features rely on ARKit 2.0, the latest version of Apple's augmented reality framework for iOS. There have been many AR measuring apps since ARKit became a thing, but Apple wants you to stop using all of them in favor of its new Measure app. Just like other AR measuring apps, you can get the dimensions of a 3D object using your camera. Apple's version is actually pretty basic, but it's a start. It's not 100% accurate, which is the same for any app of its kind, but it's a good way to get non-AR users to start appreciating augmented reality. Don't Miss: How Does Apple's Measure App Measure Up Against Google's? There's a new feature called shared experiences which is perfect for multiplayer gaming. 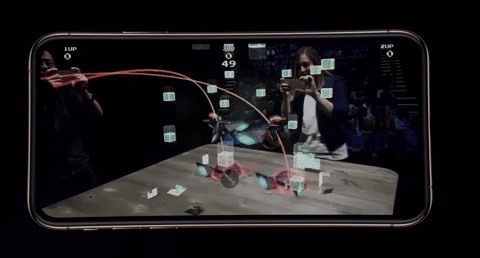 Apple showed this feature off with its SwiftShot multiplayer game for developers, and Directive Games highlighted multiplayer use with Galaga AR, coming out later this year (you can see it in action in Apple's "Gather Round" event video ... jump to 1:03:00). Games are huge on the App Store, so it only makes sense that Apple would quickly push out multiplayer support for AR titles. Now, the only thing we have to wait for is developers incorporating this into the games we know and love already. There aren't a whole lot of ones you can play around with right now but expect more to show up by the end of the year. 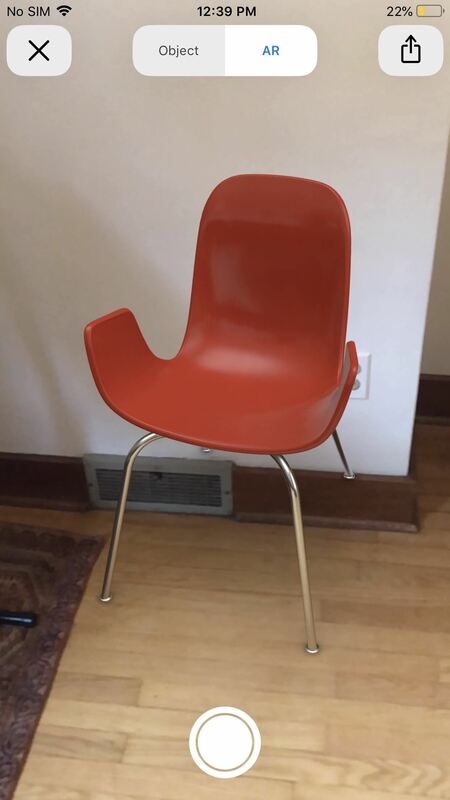 While it may seem odd that ARKit 2.0 didn't have this, it's finally arrived in iOS 12. Whatever augmented reality app you're using will be able to tell what an object is in your viewfinder. If it's a couch or piano, it will know it, and it will also know how it's oriented based on your device's location. 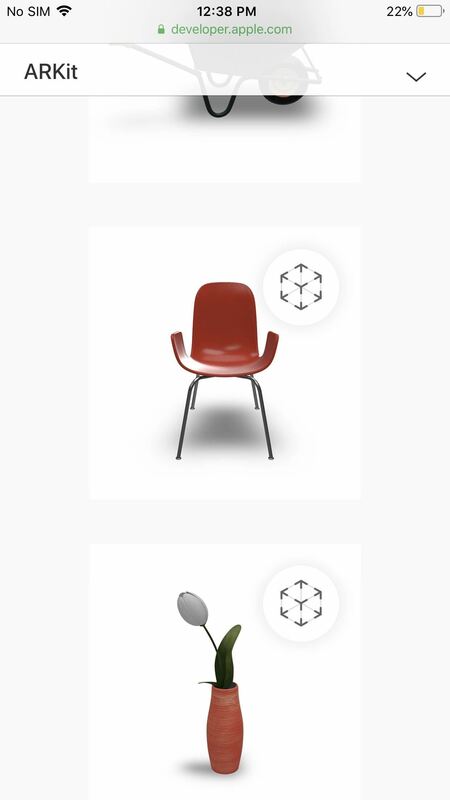 These 3D objects can also be used by apps to trigger actions. If you're in a museum app, if you point your camera at Leonardi da Vince's image, you may be able to bring up a carousel of all the paintings and inventions from him, which you can view one by one in AR view. For another example, a movie app may show trailers to films whenever you camera notices a DVD, Blu-ray, poster, or book on the screen. When you're using AR apps like Snapchat, Messages, and FaceTime, all of the augmented reality filters you can use will actually work better now, making it harder and harder to tell your face is hiding under something else. With the new gaze tracking in iOS 12, these apps will know where you're looking, and you can even wink or stick out your tongue and they'll act accordingly. Similar to the shared experiences support, there are now persistent experiences. This means you can do something in an AR app at a certain time and location and somebody else will be able to see it later at that same location. Apple states it's useful to "create a virtual Easter egg hunt or a persistent AR art exhibit," just some examples of how it could be implemented by developers. Scene reflection. Yep, if you don't understand the importance of that, you will once you start using it. Before, developers could only throw 3D objects into a scene but their textures would be bland and boring, unaware of the scenery around them. Now, there's reflection support, so you can actually see the reflection of other real-life objects in the room on the 3D object, at appropriate angles. There's a new file format, USDZ, in iOS 12, which enables developers to create virtual content optimized for mobile devices that are supported throughout Apple's ecosystem. For instance, you can use Apple's "AR Quick Look" feature in apps like Mail, Messages, and Safari to quickly view AR content and animations and interact with them in your environment. That means you can shop for furniture on websites in Safari without having to download another app to do all the AR work. 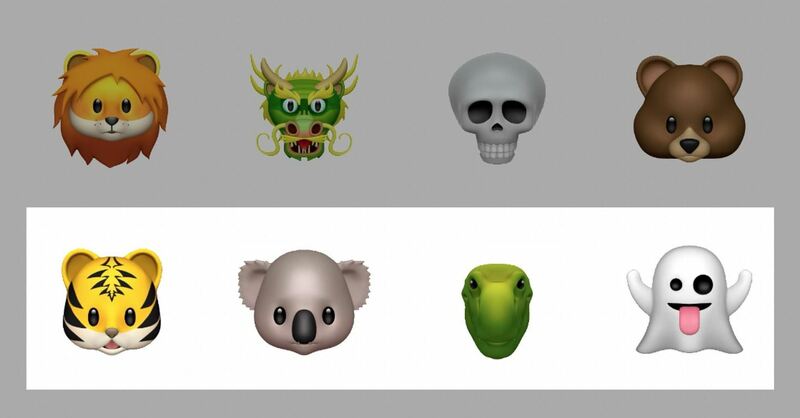 Apple's iOS 11.3 came with four new Animoji characters in addition to the 12 already available before that, but now there's four more: Ghost, Kuala, Tiger, and T-Rex. This only applies to iPhone X users, as well as those getting an iPhone XS, XS Max, or XR. In iOS 11, there was a vertical selector on the side to choose your Animoji in the Messages app, but in iOS 12, you can just swipe left or right. Swiping up also expands the menu to see all of them at once, in case you don't like the carousel. This also only applies to iPhone X, XS, XS Max, and XR users. Think of Memojis like Bitmojis in Snapchat. These are essentually avatars you can make to represent yourself or your personality in general. And Apple tops Bitmojis by letting you make as many Memojis as you want. Ouch. Again, this also only applies to iPhone X, XS, XS Max, and XR users. We'll continue to update this roundup whenever we uncover new gems you'll want to know about, so keep checking back for new augmented reality tricks.